Over Winter Break WebGuy had the pleasure of attending the 19th Annual All Service Academies Ball for the Western Pennsylvania Service Academies Parents Club. This year it was hosted by the United States Air Force Academy Parents Association of Western Pennsylvania. 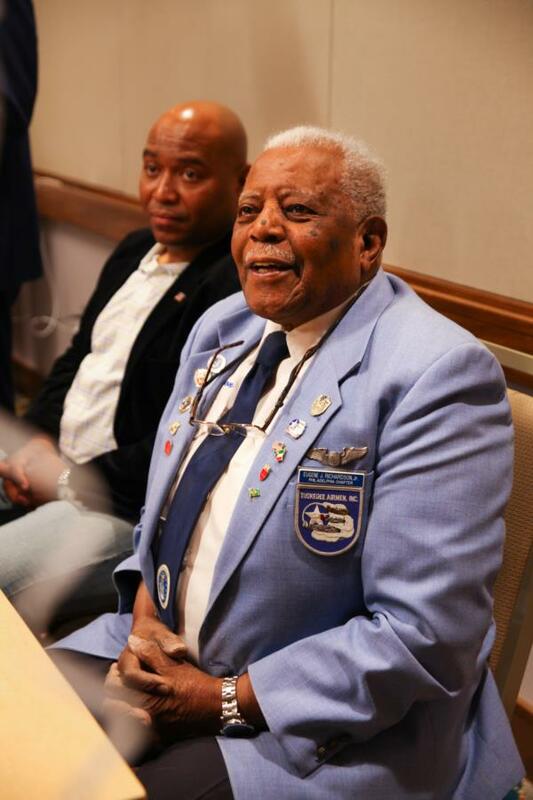 The day started off with the opportunity to meet and greet 3 legendary Tuskegee Airmen; Lt. Col (Ret) George Hardy, Col. (Ret) Charles McGee, and Dr. Eugene Richardson, Jr. 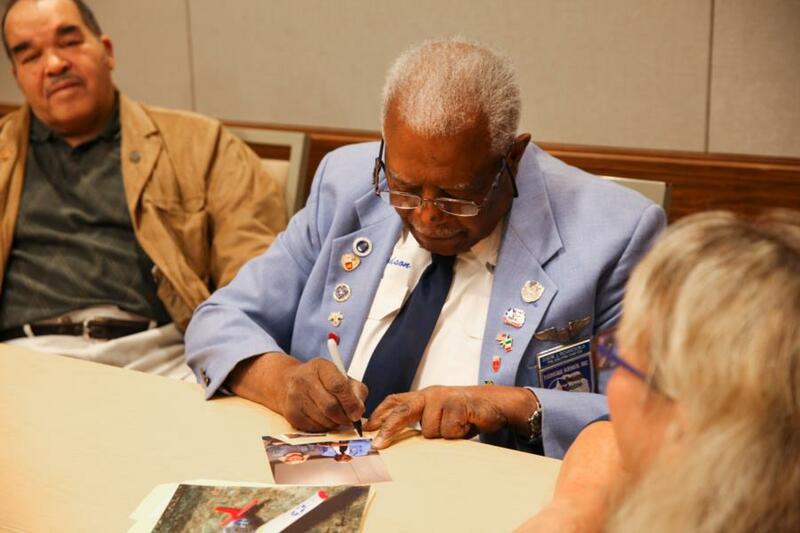 Visitors were able to take photos with them and get autographs from the Tuskegee Airmen. 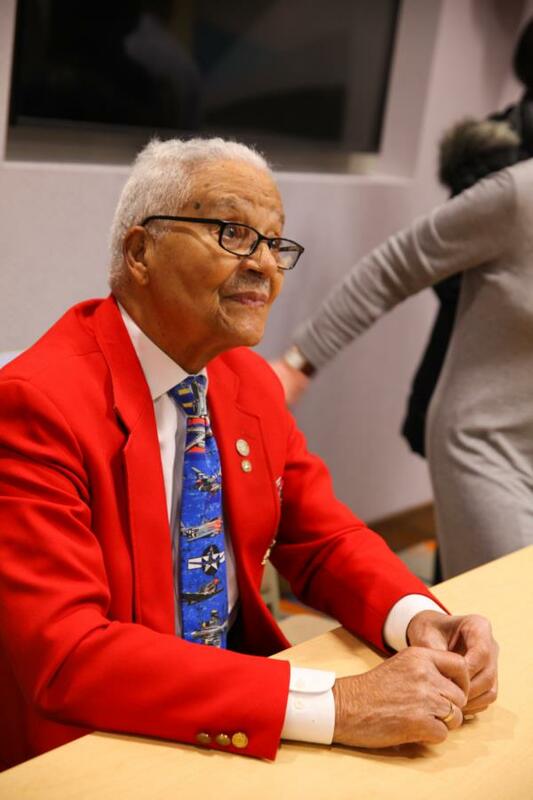 The donations collected from this event went to both the Tuskegee Airmen Memorial in Sewickley, PA, which is the America’s largest memorial for the Tuskegee Airmen and the Duquesne University Military Psychological Clinic which offers free counseling services to active and retired military members along with their family. Pictured above left to right, Lt. Col (Ret) George Hardy, Dr. Eugene Richardson, Jr., Col. (Ret) Charles McGee. 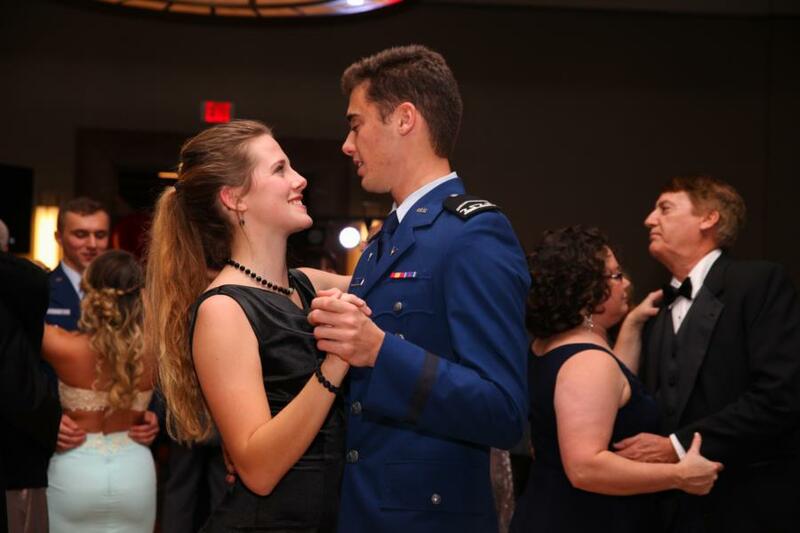 After the Meet and Greet came to a close, the cadets, midshipmen and their families changed into their dress and prepared for a night of fun, food, dancing, and more. This year there was over 300 guests in attendance, and 35 cadets and midshipmen! The night started out with cocktail hour and a silent auction and raffle. Once the guests were checked in they had the opportunity to purchase raffle tickets or make bibs for some amazing items. Prizes ranged from tickets to Disney Theme Parks, Southwest tickets, autographed Steelers and Penguin gear, a Tuskegee Bomber Jacket, iPhone 7Plus or iPhone 8, and so much more. 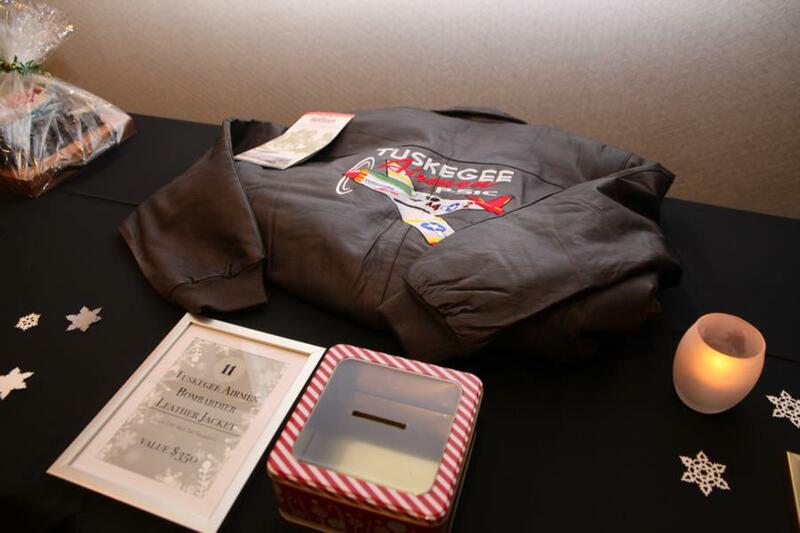 Proceeds from the raffle went to honoring and supporting the Western PA Tuskegee Memorial Fund and Duquesne University Military Psychological Clinic. After cocktail hour, everyone made their way into the Dining Hall. 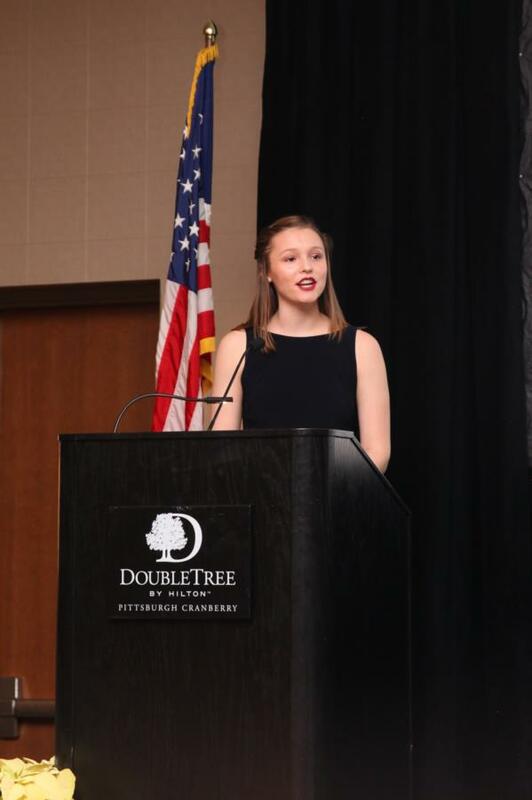 Starting off the formal dinner, Miss Maeve Berry sang God Bless America. Miss Berry currently attends Penn State and majors in Piano Performance. She is the sister of Ceara Berry, who is currently attending the Prep School and hopes to join the Class of 2022 this summer. 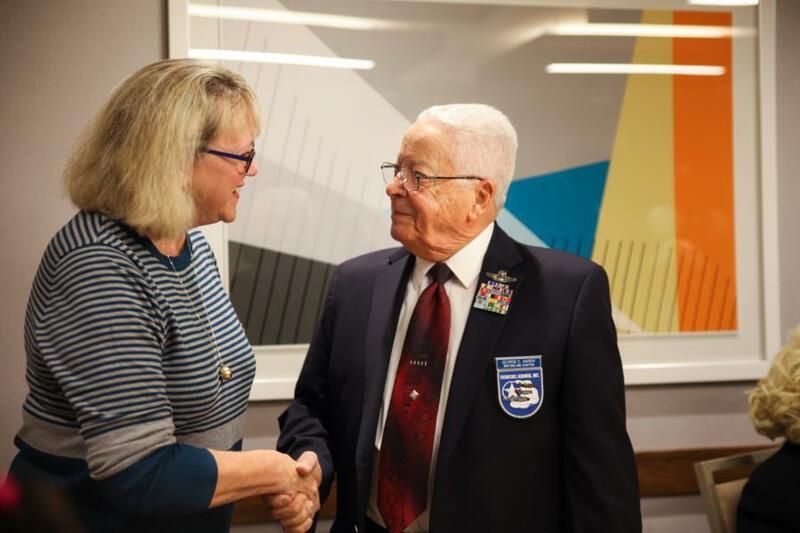 After the presentation of colors and formal toasts, Dr. Roger Brooke spoke about Duquesne University Military Psychological Clinic and their work on helping veterans with PTSD and their families. The clinic provides free counseling services to active and retired military members along with their family. 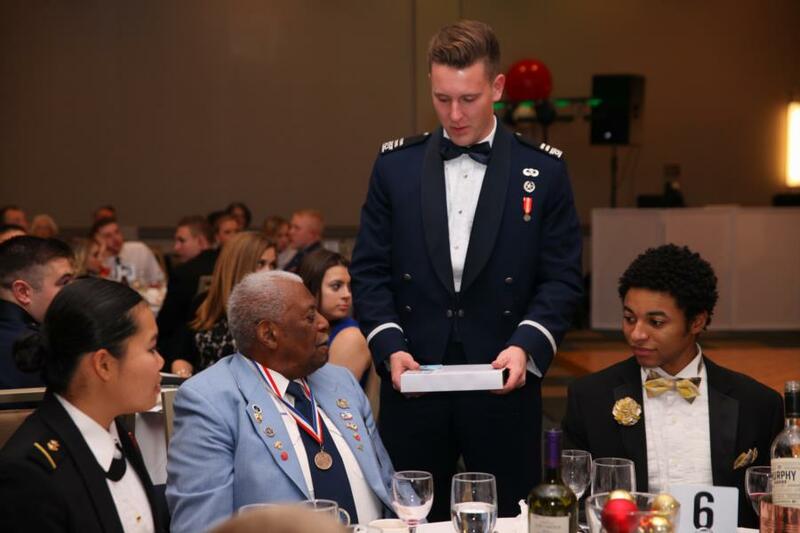 After the presentation, the Tuskegee Airmen were honored for their service to their country and presented with gifts from the Air Force cadets. Miss Maeve Berry singing God Bless America and Dr. Roger Brooke speaking about PTSD. C1C Kevin Schuster presenting a gift to one of the Tuskegee Airmen in attendence. 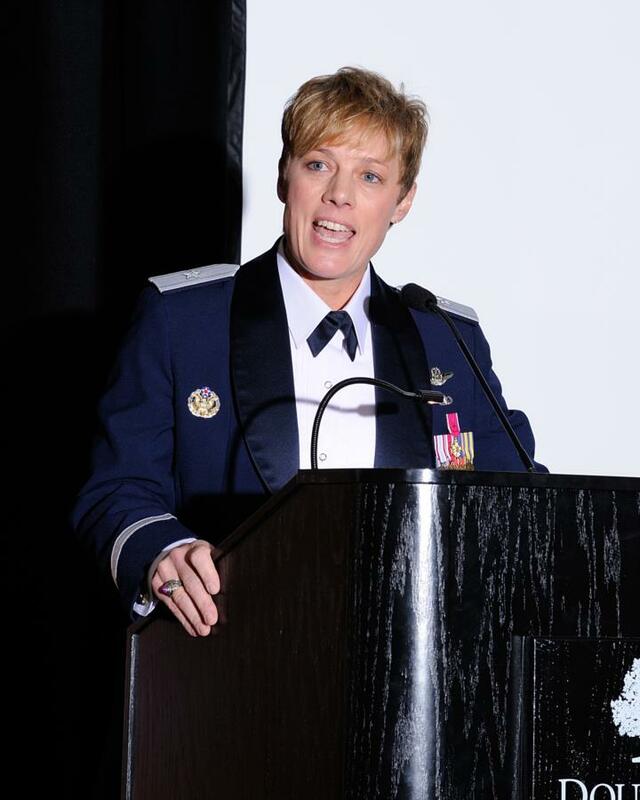 Afterwards, Brigadier General Kristin Goodwin, the Commandant of Cadets took the stand. 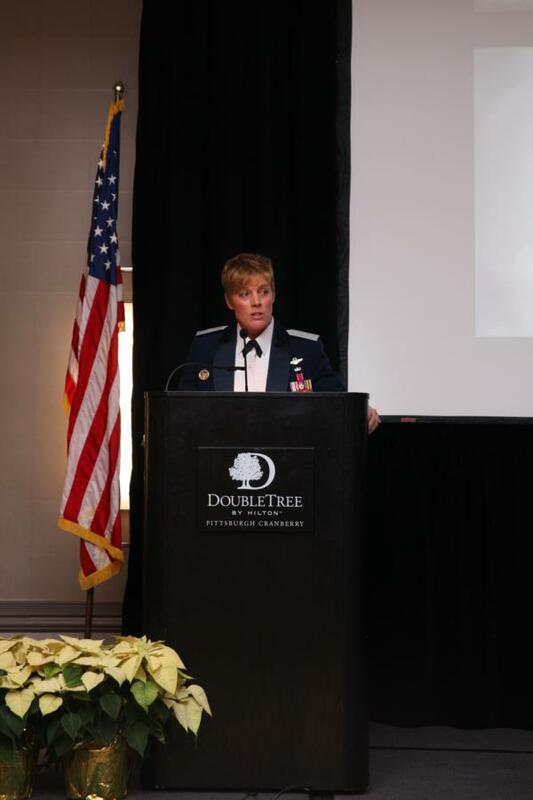 She talked about people, mission, and pride and what it means to in the serve Air Force and Military today. This concluded the formal events for the evening. Following the dinner the cadets, midshipmen, and their families were invited to play casino games and dance the night away. However, the fun did not stop at midnight. That following Sunday, cadets got to attend a Pittsburgh Steelers game! They sat in the end zone with fabulous seats to watch the Pittsburgh Steelers defeat the Cleveland Browns. Illa Cole, a WWII Navy WAVE, received two tickets to the party suite. At age 92 it was her first game at Heinz Field and she had a fantastic experience, watching the game in comfort and enjoying the food. 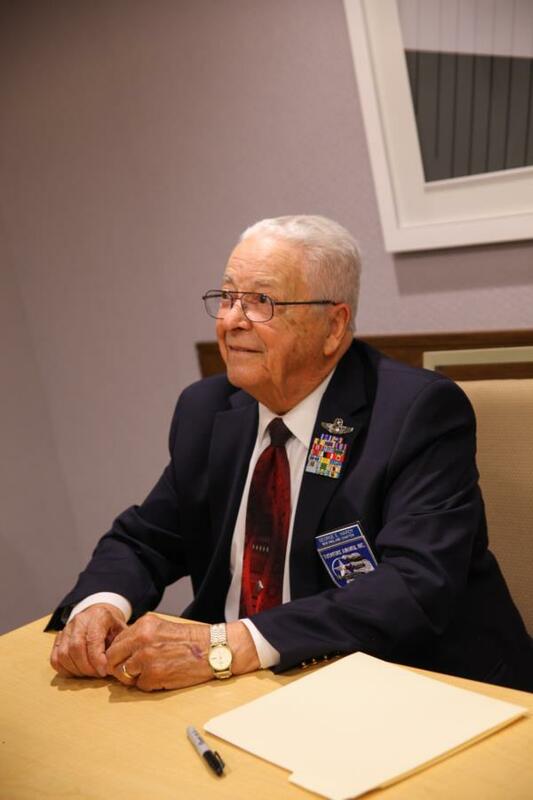 Also joining Illa Cole in the box was United States Navy Petty Officer Howard Snyder, who enlisted in the Navy at the age of 16, and became a force in some of the most prolific battles in World War II. On June 6th, 1944 Snyder landed on Omaha Beach to fight in the D-day invasion of Normandy and helped bring an end to the war. After Germany surrendered, Howard returned to Carrick to start a family. Today, Snyder works at Heinz Field as a suite attendant and has only missed one game in the last 17 years! Lynne Molyneaux, Steelers Alumni Relations Manager, hosted both Illa and Howard. Lynne's aunt is a surviving 95-year-old Navy Wave, who went on to a career as fashion model and dancer in NYC. 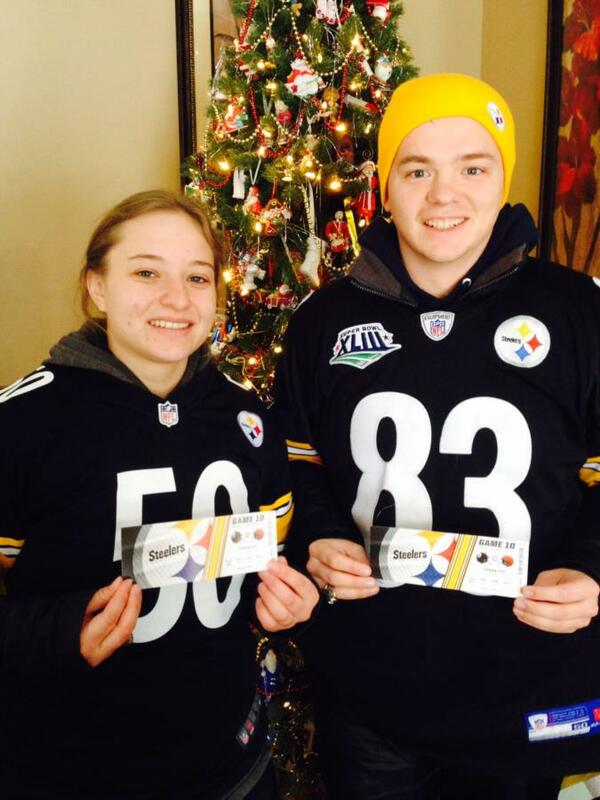 C1C James Straub and Alexandra Steighner going as guest of the Pittsburgh Steelers! 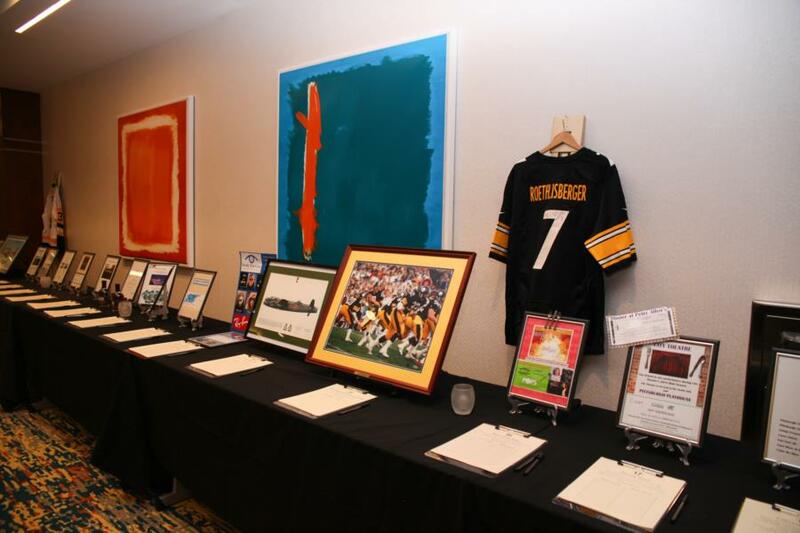 The Academy, the Western PA Parents Group and the Ball Committee want to thank the Pittsburgh Steelers for their continuous support of our Military. Below is a statement from Daniel Steighner, parent of Cadet C1C Alexandra Steighner, and Chairman for the All Academies Ball. “When our daughter went to the joined the Academy in 2014 the Western PA Parents group was not active. We by accident got an invite from the Philly group and joined their group. Their support and information was very important to my wife Stacie and me, for we were clueless about life at an Academy. They helped us weather the first year and meant a lot to us. In 2015 at the luncheon for the new cadets we decided to restart the group. Along with Robin McNally, Christine Demore, and Laurie Staudacher we started the rebuilding process. It is so important that to have these groups active and thriving. In 2014, I attended my first Military Ball hosted by USMA, and joined the committee after the event knowing that AF would be hosting in 2017. Attendance was on the decline, finance was an issue and enthusiasm was lukewarm. That year about 150 people attended the Ball, and there was a financial loss, in order to survive things would have to change, and that change was not going to come easy. There was long discussions as to the future of the Ball, was this event for the cadets, the parents, or needed a bigger purpose? 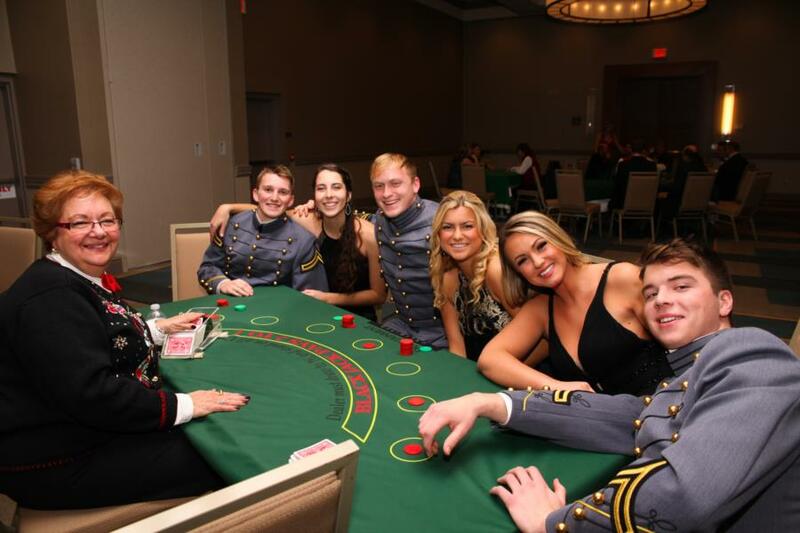 We introduced the casino games as a way for the cadets and midshipmen to have a little fun at the event, the idea came from a USMA mom, who attended events in California. Sponsorship was light as many did not believe having a dinner just for families was a good use of charitable giving. Many other Ball's across the country are facing the same issues we were facing. One of the many things I learned in life, to be successful, the purpose must be bigger than yourself, a greater cause that inspires and helps those around you. Since we are a 501(c) 3 part of our mission statement is to support military charities and we represent the five branches of the military. What better organization to give a voice to than local military personnel and their families. Over the last two years we worked hard to make the Ball more enjoyable for the Cadets, Midshipman and the Parents. To garner more community support for our event by concentrating not only on our future leaders, but also the impact we can make on our local military community. Knowing 2017 was an important year for the Air Force and the Academy, what better way to raise community interest and support by honoring our past. The Tuskegee Airmen were very important to the Army and the future of the Air Force. They generated excitement in the community. In attendance was Dr. Brooke from Duquesne University, who comes from a long line of military service and his daughter even teaches at USAFA. 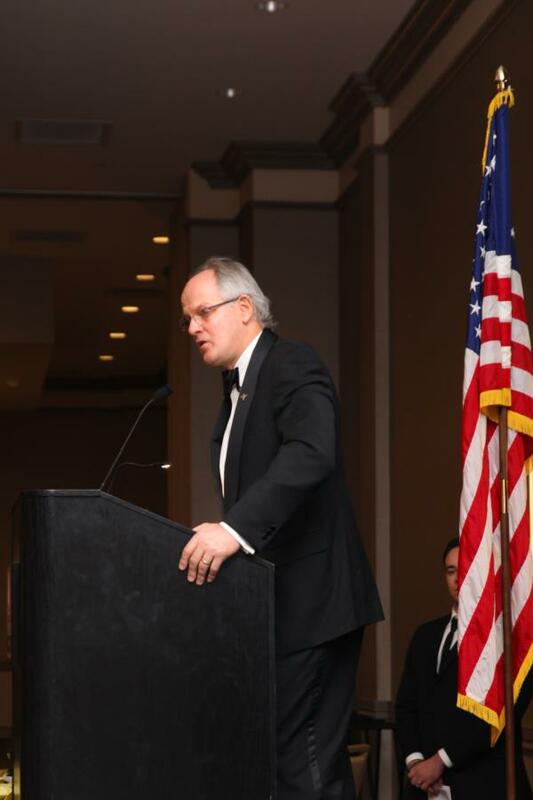 Dr. Brooke spoke to guests about the silent issue of PTSD facing our active and retired military and their families. Duquesne University has one of the nation’s finest programs dealing with active and retired military personnel and their families suffering from PTSD and related issues. Their one on one free service offers counseling from a warriors perspective that civilians often do not understand. Over the last four years my family and I have just started to learn what it means to be part of the military family. Less than 1% of our nation now make up our military and that number is getting smaller. Being the President of the parents group and the ball chairmen has enabled me to meet some very special people over the years. From Gold Star families, to disabled vets, to families struggling with issues, to business leaders that served our great nation, true military legends, and the various active military that do their job every day. I figured if my daughter and your child are willing to give their lives for us, our nation and people they will never know, then we, as a community, can easily support them so they can do their mission. Our 2017 All Academies Ball was a great success. We had 326 attendees. One officer registered from Afghanistan in order to attend, several DV’s, WWII veterans, over 60 corporate and individual sponsorship's. We also had the finest Commandant of Cadets at any Military Academy attend as guest speaker. Raised over $50,000 in donations and had over $15,000 in prize donations. 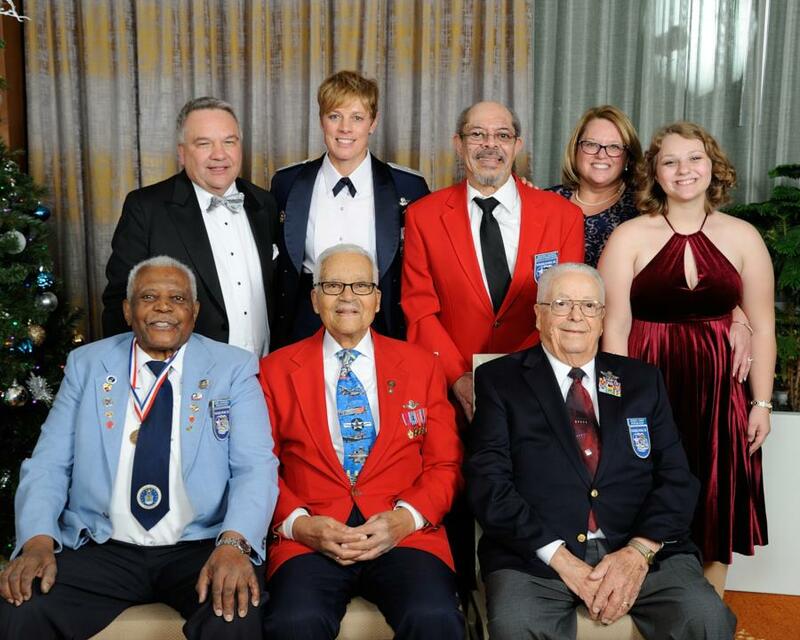 However most important, we gave $20,000 to our charities, the Tuskegee Memorial of Sewickley PA and Duquesne University Military Physiological Clinic, the night of the Ball. More will be given in the next few weeks, when we finish up our reports. To view the rest of the pictures from our coverage of the Western Pennsylvania All Service Academies Ball go to: Galleries > Extracurricular > Special Events. Or click the link below.